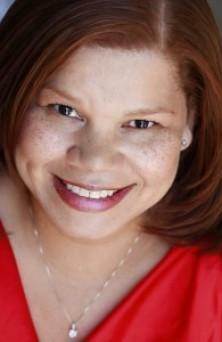 Staci Lynn Fletcher is a comedic power house with outspoken honesty. This quick-witted comedienne keeps audiences on the edge of their seats with her unique blend of humor. Originally from Chicago, this rising starlet has beenÂ honingÂ her skills on stage and screen for over 15 years. Finding humor in the absurdities of her life began while in high school. Make that an all girls Irish Catholic high school and her father was muslim! Comedically,she has appeared on Comic View and Show Time at the Apollo. Sitcoms include Thatâ€™s So Raven, Living Single, and In The House to name a few . Staci also stole the scene in the film 30 Minutes or Less. Whether she's talking about being a young widow ,raising a daughter with Asperger's or home schooling,audiences love her smart-witted take on life . Her clean, no-nonsense brand of humor leaves you wanting more. Laughter heals...find the funny is her motto.